Every properly constructed English sentence contains at least one clause. A clause is a section, or a part of a sentence, which includes a subject and some kind of description of the subject. Sentences can contain one or more clauses. The leaves in the tree turned yellow, caused by the changing of the seasons. (1) The leaves in the tree turned yellow (2) caused by the changing of the seasons. The independent clause is the dominant, main clause of the sentence. When only one clause is contained in a sentence, it is known as an independent clause. Independent clauses can be combined in the same sentence as dependent clauses. If the sentence were broken apart, the independent clause would still make sense, although the dependent clause would be merely a sentence fragment. Dependent clauses only serve to modify (describe, or provide information about) independent clauses. Unlike independent clauses, dependent clauses cannot exist by themselves. Dependent clauses do contain a subject and a verb, but they don’t form a complete thought. Alone, they are only sentence fragments - and form serious grammatical errors. Read over these examples to become comfortable with spotting independent versus dependent clauses. Remember: Independent clauses can survive as correct sentences on their own, independent from the dependent clauses. After he graduated from college, Daniel got a job in a bank. I take the bus everyday to school, but I missed it yesterday because I woke up too late. 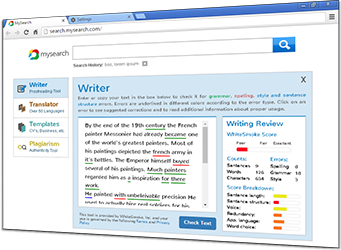 When writing sentences with multiple clauses, it is important to keep in mind the readability of your writing, and making sure each sentence is structured clearly and correctly. 1. Is this sentence too long? 2. Is there a complete thought expressed, or is it fragmentary? If the sentence is too long : separate it into smaller sentences, read over each new sentence and make adjustments. If the sentence is fragmentary : adjust accordingly so that it makes grammatical sense. This usually entails adding or removing connector words. 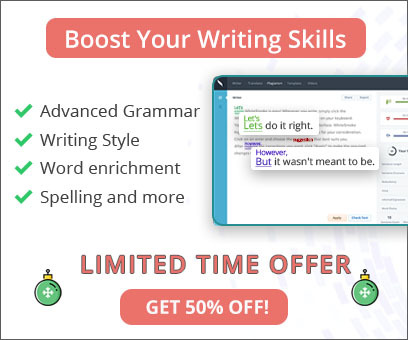 Telling the difference between independent and dependent clauses equips you with a powerful editorial tool, so you can avoid making such classic, glaring grammar mistakes like run-on sentences and sentence fragments. Just by reading this post, you are already well on the way to avoiding these mistakes. For practice, read a few sentences over again from this very post, and see if you can spot the independent versus dependent clauses. Train your eye and your brain to know the difference, and it will likely become automatic. This means, pretty soon you can kiss run-ons and sentence fragments good-bye!